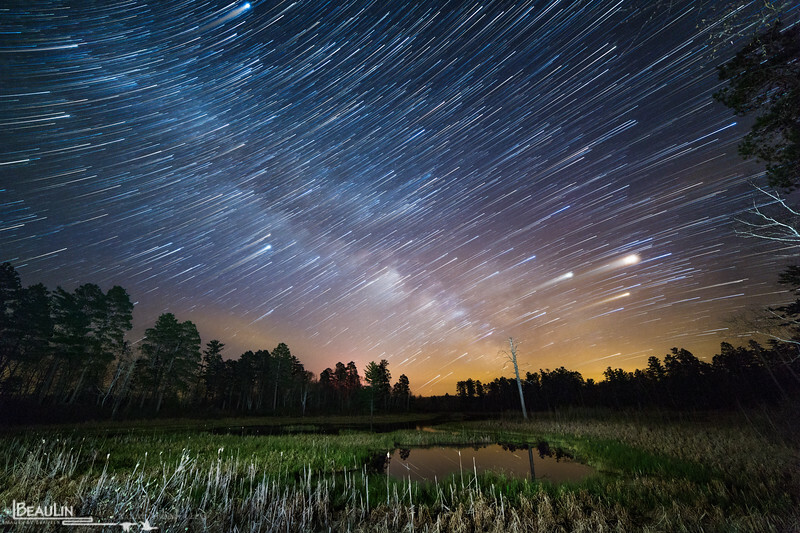 Star trails around the Zodiac over Dorace Lake at Lake Itasca State Park near Lake Alice, Minnesota. Notice how the star paths diverge on either side of the ecliptic. A time-lapse composite, comprised of 28 long exposures and one foreground exposure.